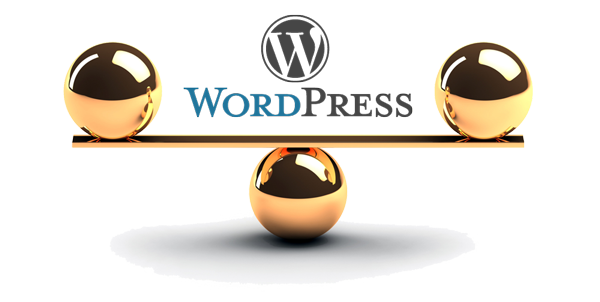 WordPress is without dispute the leading Content Management System (CMS) chosen for websites worldwide. It is known to be used by more than 60% of all websites on the Internet 1. Like most successful products on the web, this success makes WordPress a target for malicious hackers and spammers. WordPress counters this through the dedicated work of the WordPress teams and through support from the WordPress community, who are quick to identify and fix any threats. WordPress then provides regular updates which contain these fixes making WordPress one of the most secure Content Management Systems available – for those sites where the updates are applied regularly. Hackers are continually trying new things and looking for new vulnerabilities to exploit. The online world changes quickly and the same is true of security. Good security is about minimizing risk. If WordPress is one of the most secure Content Management Systems, then why is security one of the major concerns with WordPress? Statistics show that the big problem is that only 11% of the WordPress installations are actually kept up to date 2 and this explains why so many sites are compromised. In other words, the problem is not with the CMS, it is due to owners who do not not keep their websites up to date (in addition to the number of hackers continually trying to compromise WordPress sites). Fixing a hacked website, or in the worst case, having to completely restore of a website, coupled with the potential lost of business resulting from a malicious attack on the site is expensive, time consuming and frustrating to website owners. Therefore, every site owner should have a maintenance process in place to prevent their WordPress site being compromised. A preventative maintenance process may be as simple as, visiting the administration panel of the site regularly to make sure that all recent updates are applied. WordPress makes this easy for site owners and at the click of a button or two, updates are applied. There sometimes is a concern that updates may cause the site to crash and lead to a WSOD (White Screen of Death) but this is unlikely unless updates are skipped. Also, for more peace of mind, site owners should make sure that they have a full backup of the site in case the worst should happen. Finally, site owners should install security software and malware scanning to prevents hacking and spammers from getting access to the site. For those people that are not technical or for those who have the resources, there are a number of companies who offer ongoing Wordpress maintenance. These maintenance services are relatively inexpensive and worth the peace of mind that they provide to site owners. CreatorSEO, Ireland’s leading Search Engine Optimisation (SEO) company, offers a range of WordPress Maintenance Support packages to meet your requirements and your budget. Our WordPress support service can include CMS and plugin updates, backup and restoration, security and malware scanning and monitoring of WordPress Sites. For more details please visit our WordPress Support page or give us a call on 061 513267.